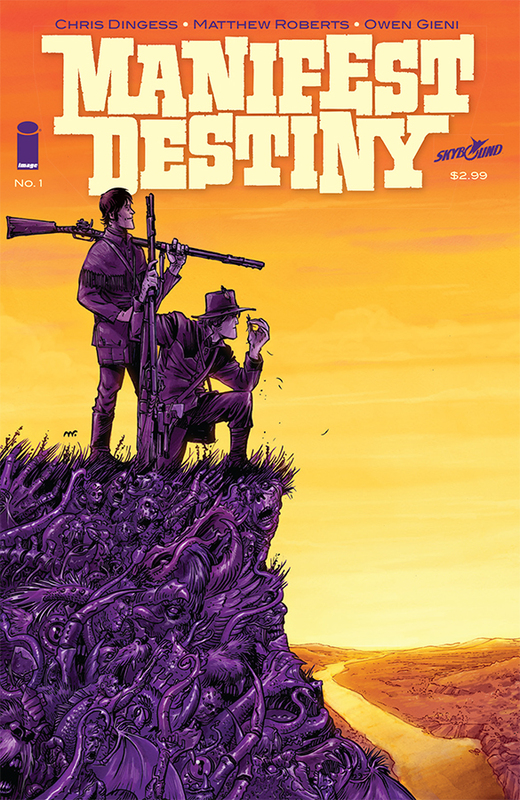 Graphic Novel Review 27/365: Manifest Destiny – Pull List Week! Please keep up with all of my old Graphic Novel Reviews as I quest for 365 in 365 days here. Author: (Team) Chris Dingess, Matthew Roberts, and Owen Gieni. Manifest Destiny is an Image Comics release that tells an alternate story of Lewis and Clark’s journey west, exploring and searching the unknown. 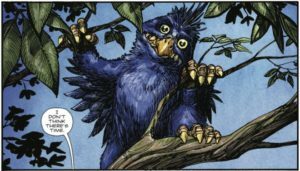 The reader quickly discovers that the west is littered with creatures and monsters, and these creatures and monsters are not friendly. The crew is comprised of men that have nothing to lose: prisoners, men with no family, ect., and when they discover that they have this in common, as you can imagine, tempers erupt at their thought of being an almost fully expandable crew. This is unlike any other book I have ever read though. Set around 1800, having a group of men fighting and surviving monsters on an undiscovered American west? OK. I also like alternative history books, and I know it’s a popular gene, so if you also dig alternative history, check this one out. These guys put in their work on this complex book, and Image Comics has a winner here. This book should be much more popular than it is.